May Daft Punk humbly request make a appearance like last year? Looking to find all electronica family. Now that we're less than a week away from Fanime, I wanted to give a reminder about the gathering location. It seems like every year there there are people that have some trouble getting to the G5 location. We've had several people show up on inside the window during the gathering unsure of how to get outside! I believe the only way outside from the first floor is through the Hilton cafe right next to the location. However we are NOT allowed to go through there. Please do not count on using that door since it will probably be roped off again. I suppose you could get outside by going through the second floor fire escape doors, but I ask that you please do not since last year the alarm was going off every time the doors were opened and it's very noisy and annoying. From the main entrance area of the convention center, you can walk along the sidewalk in the direction of the Hilton until you reach the first left turn. Turn into there and all the way at the end, past the trees and up the small staircase, is the G5 location. I hope this explanation is clear, please feel free to ask questions before the convention starts. Otherwise if you need more help, in in the past I've found the con staff at the gathering desk to be very helpful! TLDR: Please know where the gathering is and know how to get there so you don't get lost! Also please try to be a little early if possible because we will start as close as we can to 3:00pm, otherwise you might miss the first group photo and possibly your character photo! The photoshoots were great! Sorry to ask, but where are (if they are) the photos from the shoot going to be uploaded? Replying so I can figure this out. I've been looking for the past 2 days! Updating the thread for 2018! A heads-up to everyone that we are considering moving the location from the previous area, G7 - "The SLAB" (outside the Hilton Hotel Bar), to potentially G6 - "Fallout Zone” outside alcove in front of Convention Center. If you have any thoughts or preference about either location, please comment! Feedback would be fantastic! Hi everyone! The gathering form has been submitted! We're aiming for Saturday afternoon and have a FaceBook link now. Please keep an eye out for updates~! We've just been confirmed for Saturday at 2:00pm and have this year moved to the G6 "Fallout Zone" location! Hope everyone's looking forward to it! Bumping the thread~ I hope everyone's cosplays are coming along well! It's May! Can't wait for Fanime!! Fanime's just a week away!! 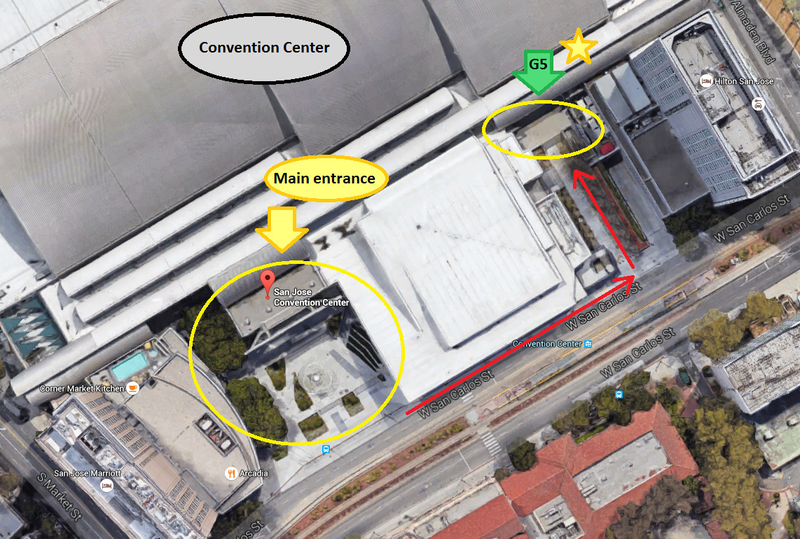 Quick reminder that we've changed from last year's location to G6 - "Fallout Zone" in front of the convention center! Make sure to go to the right location, hope to see everyone there! Hi there! I'm reviving this thread for 2019! Honestly I was wondering the same thing. After the last con I was also looking around for them on there, but had no luck finding anything. I’m really not sure what happened. Other than the SlickPic website, gathering hosts aren’t given any special link or notification about their gathering’s photos, so we’re in the same boat as everyone else. I’m hoping it was just a one time mistake since this doesn’t unusual happen. Crossing my fingers that we’ll get them this year!